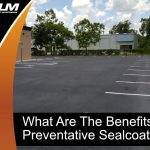 A recently sealed surface should not be exposed to traffic for at least 24 hours, as it needs at least a full day of curing time. Newly poured concrete will prove much more durable when properly mixed and sufficient time is provided for the curing process. Concrete requires half a week to a full week to properly cure. The surface should be wet during this time. 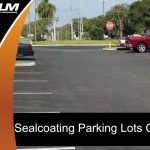 Already existing issues like insufficient drainage, low spots, base/sub-base damage and cracking should be remedied before your Tampa Bay pavement is resurfaced. ADA guidelines state that Tampa Bay businesses are required to have the proper amount of parking stalls accessible by handicapped individuals as well as sufficient parking spaces for vans. 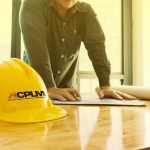 Take a close look at your pavement on a regular basis to identify fading, markings, cracks, liability concerns and other indications of failure that ACPLM can address. Ideally, asphalt should be sealed every two to three years. For additional questions, contact the ACPLM team. 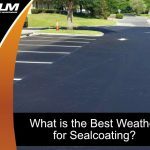 Sealcoating must not be performed when the weather is egregiously cold, hot or inclement. The temperature should be at least 50 degrees Fahrenheit when the sealer is applied and remain at or above this level for the following eight hours. Pay close attention to cracks to prevent problems from expanding. Proper attention can double the life of your pavement. Singular cracks between a quarter-inch and a full inch should be crack sealed by ACPLM without delay. The widening of cracks, known as “routing”, is advisable in truck areas but not areas that were previously sealed. Parking lot marking with a 90-degree “straight-in” style permits two-way traffic as well as the most possible stalls. If your Tampa Bay parking lot suffers from poor or flawed drainage, ACPLM’s team can install a catch basin to solve the problem. Remedying “birdbaths” as soon as they are spotted will decrease the odds of water moving through the base and forming a pothole. 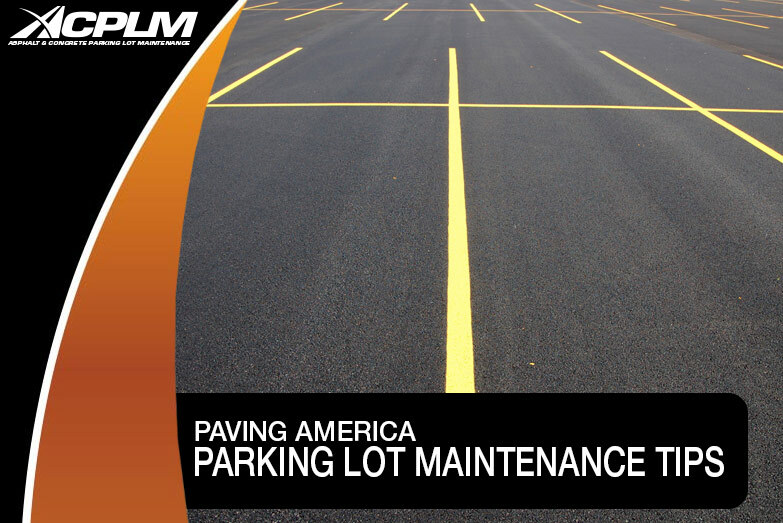 Abide by these tips and your parking lot will stay in tip-top shape across the ensuing months and years.